When it comes to deciding which electronic cigarette device to buy you will need to look at few pointers from your tobacco smoking habit. Firstly how many do you smoke at the moment? If its a high amount then you would normally be looking at purchasing a mid-ranged e cigarette kit. If you are a light smoker or are looking for something slightly inconspicuous then you would look at purchasing a slim e cigarette. 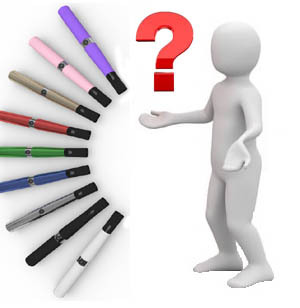 The factors involved in choosing the right e cigarette may vary from person to person. For example you might place low-maintenance as a high priority over high performance; in this case a basic starter kit would be more suitable or if you are a techy sort of person and like your gadget then one of the high performance e cigs is for you. For first time vapers it is always a good idea to start of using one of the basic electronic cigarette devices so you can get a good feel of how they work and what e smoking is all about. Form here you may choose to stay with the model you have bought or upgrade to a more powerful one with more features.